Now that Thanksgiving is over you may have a few leftovers hanging out in the fridge. We happened to have half a bag of fresh cranberries that were starring at me every time I opened the fridge. The tot started calling them “grapes” and really wanted to eat them and then would get angry and confused when I told her they wouldn’t taste very good. But, she was determined, so I let her have one. She was excited about the idea of using them to bake something, so I gathered a few ingredients we sat down for some serious stirring. 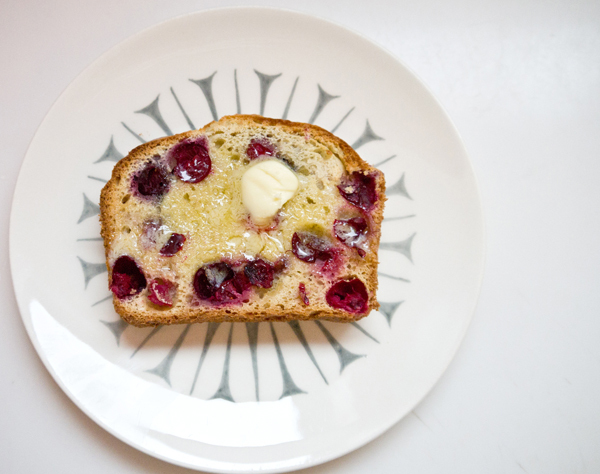 And this bread turns into a really awesome fine motor skill activity if you encourage your tot to only add one cranberry at a time — and it also keeps your little one busy for a good amount of time…. 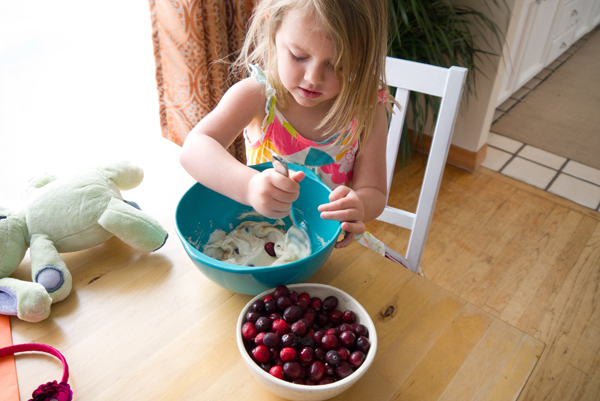 Invite your child to measure and add the yogurt, vanilla, and sugar, giving the ingredients a stir. You can preheat the oven to 400F so it’s nice and hot when you’re finished mixing. 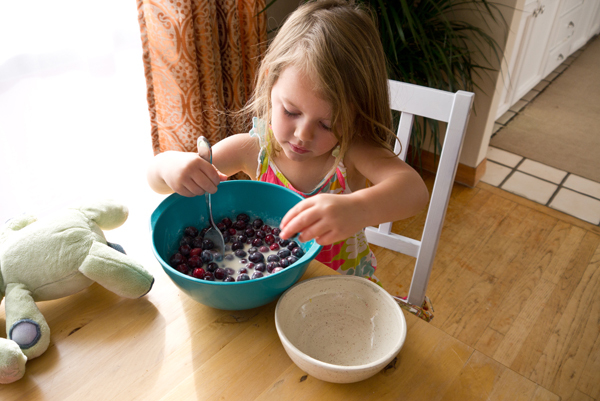 Now offer your tot the cranberries and encourage her to add a few at a time, and then give a stir. While she’s busy, go ahead and zest the lemon over the bowl and then add the fresh squeezed juice. Measure and add the milk and vegetable oil, inviting your child to continue mixing the ingredients — and adding the cranberries. Once the cranberries have been mixed into the batter, add the egg, baking powder, baking soda, flour, and dash of salt. Give things a final stir. 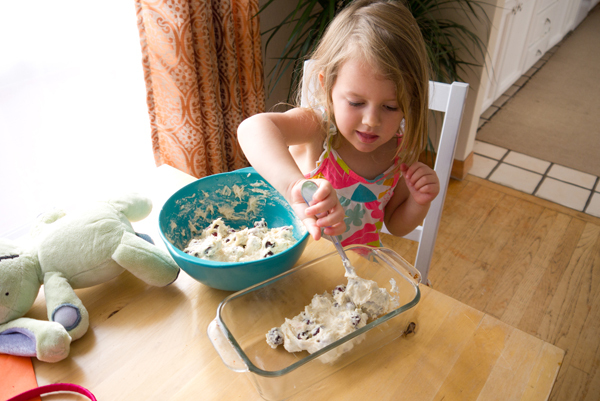 Now your child can help grease a loaf pan and then add the batter. Pop the bread into the oven for 45-minutes to an hour, or until the top is toasty brown and a toothpick comes out nice and clean. Let cool for 30-minutes before slicing and enjoy as an afternoon snack or in the morning toasted with a slathering of butter — my favorite way to eat this tasty, healthy bread. I just put it in the oven, I hope its good!